Annotation: From the creators of Ice Age and Rio, Epic tells the story of a hidden civilization. The battle between good and evil rages until a teenage girl is magically transported into this forest kingdom to help save their world, and ours. The Leafmen are brave warriors, who happen to be two inches tall, on a mission to protect their home. Their sworn enemies, the Boggans, want to destroy the Leafmen's forest kingdom by spreading their rot and decay. 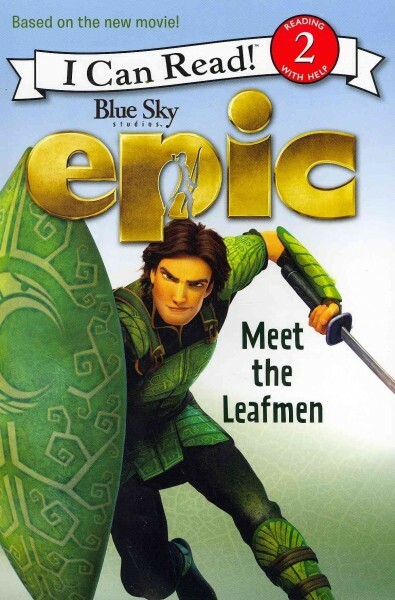 Led by Ronin, their fearless leader, can the Leafmen defend their kingdom and ensure their survival? This Level 2 I Can Read, based on the film, is sure to be a hit with young fans. - Juvenile Fiction | Animals | Insects, Spiders, Etc. Bargain Category: Leveled Readers, Early Elementary, $1 Books!